The WWE WrestleMania 34 odds for match winners have been out for weeks, but there are newer odds in terms of which superstars might make an appearance. 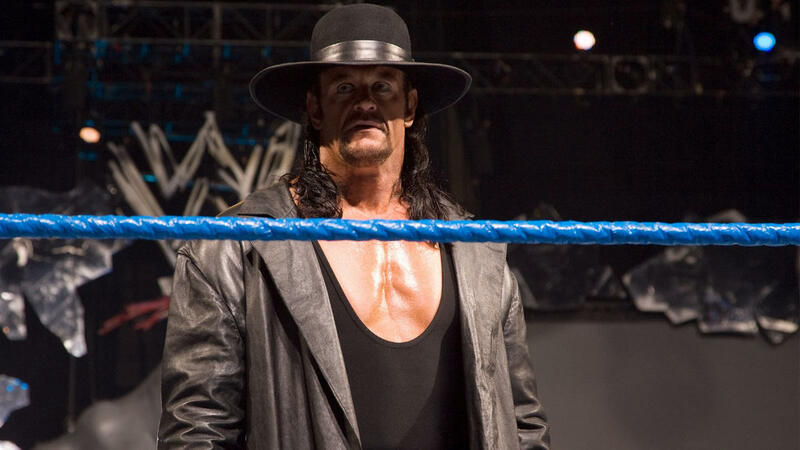 Speculation has continued to build up in terms of the potential for The Undertaker to appear, but a few other superstars have also been given odds to show up this Sunday. Here’s the latest look at which WWE stars fans are hoping to see this Sunday, and who has the best chance of showing up. In a report from WWE Leaks on April 5, it’s noted that at least one sportsbook is giving bettors the option to wager on if a certain superstar will appear on Sunday. The Irish sportsbook Paddy Power has given odds for Batista, CM Punk, and Hulk Hogan, each to show up. In addition, there are odds for Rey Mysterio to show up at as Braun Strowman’s mystery tag team partner, which was at 7 to 4 as of the report. The Rey Mysterio as Braun Strowman’s tag partner rumor continues to float around. One would think the sportsbooks may have adjusted over the past few weeks to give several options as Braun’s possible tag team partner. Other choices might include Bray Wyatt, Samoa Joe, and Big Cass, each of whom has been suggested here or there. Interestingly, odds are for The Undertaker “not to make an appearance” at WrestleMania and are currently at 10 to 1. For The Rock, he has 4 to 1 odds to “interfere” in any of the matches at WrestleMania 34 this Sunday. CM Punk is considered a 20 to 1 longshot to make an appearance. Meanwhile, Batista has been given strong odds of possibly showing up on Sunday. “The Animal” has 3 to 1 odds to make an appearance. Hulk Hogan has been given the best odds of everyone at 6 to 4. Hogan was recently in Los Angeles for the premiere of the HBO Sports documentary about Andre the Giant. When Hulkster was stopped by TMZ, he downplayed any possible involvement with WWE for WrestleMania, giving a “no” answer when asked if he’d be on “the grandest stage of them all.” Fans may remember several months ago when Ronda Rousey also told TMZ she was too busy filming to possibly be at the Royal Rumble PPV, but she still ended up making an appearance at the end. As far as CM Punk, that definitely seems like a stretch, as the man known for dropping pipebombs on the WWE Universe is currently busy preparing for his next UFC fight in June. An appearance by the former WWE Champion would certainly be a surprise and is probably not part of the scheduled based on how much WWE already has going for this year’s event.